Valentine and Carver are 2018 California Distinguished School Award recipients! California State Schools Chief Tom Torlakson announced the 2018 California Distinguished Schools on Monday. Valentine ES and Carver ES are both included! Congratulations to our fabulous elementary students, staff and parents! SACRAMENTO—State Superintendent of Public Instruction Tom Torlakson today announced that 287 elementary schools are being honored under the Distinguished Schools Program. This program returns after a three-year break, and replaces the California Gold Ribbon Schools Program. 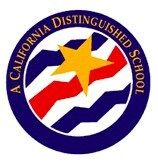 Sponsored by California Casualty, the 2018 California Distinguished Schools Program recognizes California elementary schools that have made exceptional gains in implementing academic content and performance standards adopted by the State Board of Education. Schools that applied were eligible based on their performance and progress on the state indicators as described on the California School Dashboard. Indicators include test scores, suspension rates, and English learner progress. These award winners represent examples of not just excellent teaching, learning, and collaborating, but also highly successful school climate efforts, ranging from real time conflict resolution to positive behavior intervention.